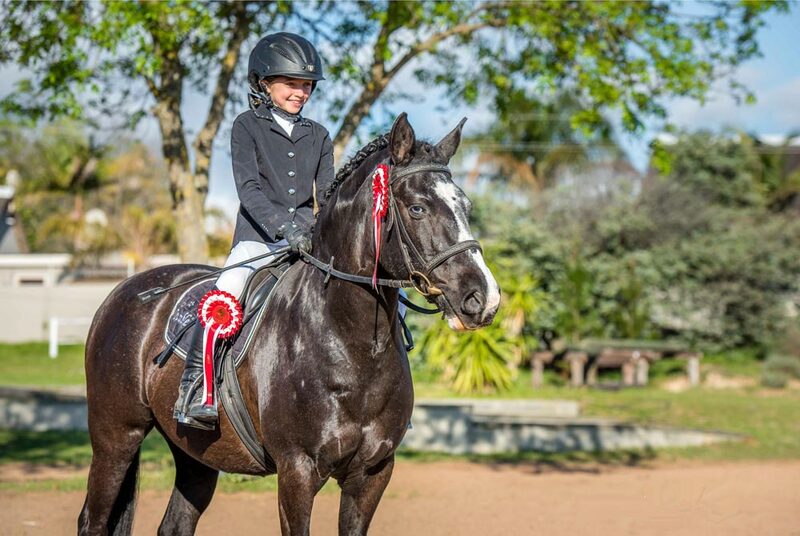 Thank you all so much for the support in entering our Young Horse Show on Sunday 31 March 2019, entries have been fantastic! Stable list will be sent out under separate cover. If you have booked a stable, please ensure that you park responsible in front of your stable only. The parking at the bottom will be open so there is more than enough space for everyone to park, please park responsibly and be courteous towards your fellow competitors, grooms, handlers, friends, family, spectators, officials and workers. NO PARKING OF HORSE BOXES ON THE GRASS AREA BETWEEN THE STABLES AND THE MAIN ARENA, THIS IS RESERVED FOR CARS ONLY. Please remember to bring water for your horses. Please find the Final Agenda and venue for the Western Cape Showing A.G.M as well as the attached nomination forms. Please have a look at the results RESULTS!! Please see below report from SAEF regarding the OGM that was held on 13 October 2018. The annual SAEF OGM was held this past weekend. The meeting was attended by the SAEF EXCO, all 9 Provincial Federation Presidents as well as 14 of our 17 Discipline Associations. The main item on the agenda was the 2019 Budget and the SAEF membership fees. Many points of view were expressed, resulting in four proposals being tabled. Ultimately consensus was reached after a vote was taken. The fees and early payment discounts as set out below were thus accepted by Council. 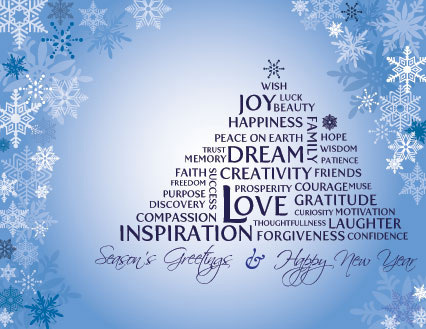 For payments received by end December 2018, a 10% discount will be allowed; for payments received by end January 2019, a 5% discount will be allowed. Should payment not have been received by end February 2019, membership shall be considered lapsed. Our sport is complex in that we have the SAEF as our National Federation, 9 Provincial Federations which serve as the representative offices of the SAEF in each of the provinces and, with equal standing in the composition of Council, we have 17 Discipline Associations (technically oriented) which include both FEI and non-FEI affiliates. The administration of such a Federation is, as can well be imagined, somewhat involved, especially when one takes into account the organizations both in South Africa and internationally to which the SAEF is affiliated. 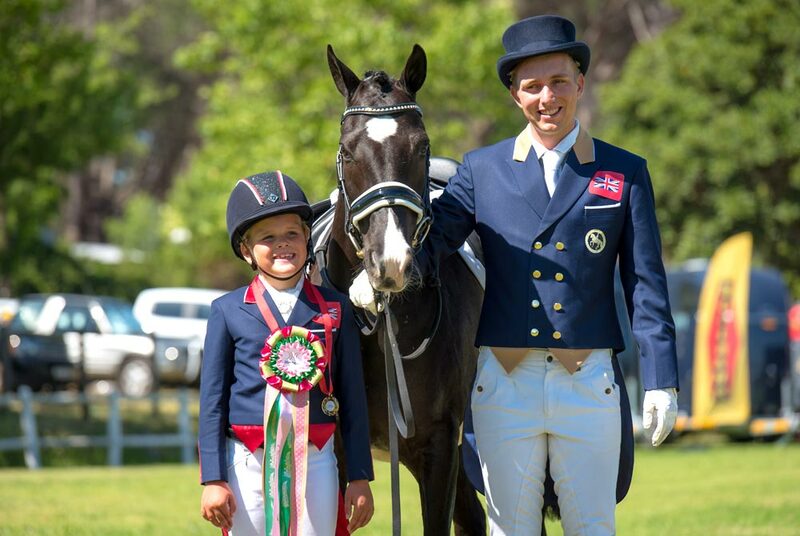 The recognition by SASCOC and SRSA within the country, as well as by the FEI and all other international bodies to which the non-FEI Disciplines are affiliated, is of the SAEF as the only sanctioned controlling body of Equestrian sport in South Africa. The day to day running of such a complex model is quite onerous and a competent, experienced and effective team is required to ensure the desired result is achieved. The Sports Act requires Sporting bodies to comprise Provincial Federations, Districts and Clubs. 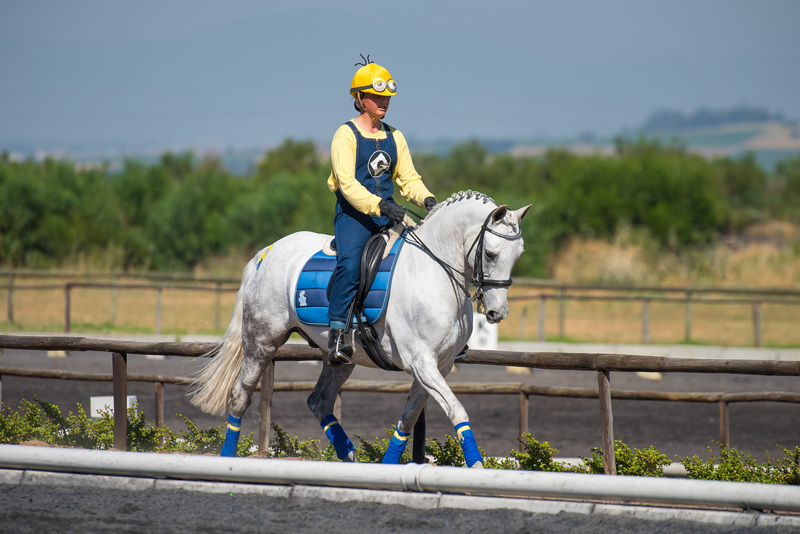 The SAEF is somewhat of a hybrid in that we also have our Disciplines connecting at both National and Provincial level to provide the technical expertise required for the correct running of the various Equestrian sports, especially with respect to the rules, officials, etc. These DA’s have the same standing with the Provinces as far as representation in the SAEF is concerned. This has been condoned by SASCOC on a provisional basis and it is up to us all to make this system work as we feel it is best for our Federation. The SAEF is therefore accountable to SASCOC and SRSA, not only in terms of the Constitution but also in terms of compliance with providing statistical and other information, application for national colours and numerous other matters. This, once more, requires permanent and consistent application. The International Federation for Equestrian Sports (FEI) is the only international governing body for the equestrian sports disciplines of Jumping, Dressage, Eventing, Endurance, Vaulting, Reining, Carriage Driving and Para-Dressage in the World. The SAEF is the only equestrian body in South Africa that is recognised by and affiliated to the FEI. Affiliation fees based on the number of registered athletes are paid to the FEI each year, hence the differential between FEI and non-FEI Discipline members. 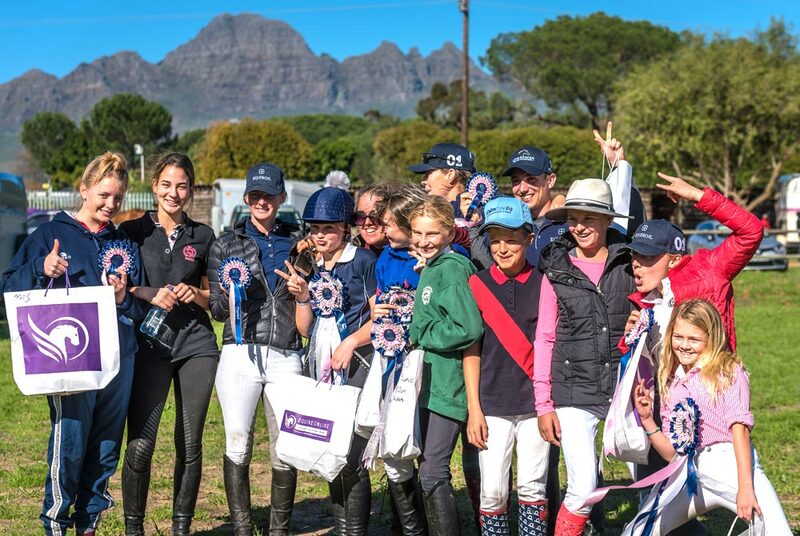 The non-FEI Disciplines for the most part also have international affiliations which require administrative support and interaction from time to time and any participation in international events either within or outside of South Africa has to be sanctioned by the SAEF. In this manner, the SAEF motivates the awarding of colours for the Athletes and teams involved. It has taken some time to develop the SAEF and its substructures into a functional model and the fees required to drive the necessary funding are spread across the member base accordingly. It is a mammoth task to ensure compliance as far as membership is concerned due to the three points of entry that currently exist, namely Clubs, Disciplines and the SAEF – obviously this would be made easier by having a comprehensive database system but this is not achievable in the short term. The Disciplines have committed to ensuring that all their members are both club members as well as SAEF members before they are permitted to participate in competitions. This will go a long way towards using our office resources for their intended purposes rather than policing membership and would hopefully result in the long-term effect of increasing member numbers and reducing their burden accordingly. From the members’ viewpoint, even though membership is mandatory, it is important to recognize that the real benefits are fundamentally the participation in sanctioned, organized sport. What this means is that our members can attend events with the knowledge that the underlying structures are in place to ensure aspects such as fair play, safety, competence of officials, etc can be assured by virtue of organizers adhering to what is effectively the jurisdiction of the SAEF. Improvement of standards through coach education is an important on-going project, as is the provision of comprehensive Veterinary Regulations ensuring the Welfare of the Horse. It is difficult to identify every benefit but suffice to say, the SAEF is run on a very controlled basis and any generation of surplus through cost cutting is committed to reinvestment into the sport. It is also responsible for accessing Lotto and SRSA grants where possible. The current SAEF EXCO, supported by Council, is committed to ensuring effective financial control with the ultimate benefit of all its members foremost in the pursuit of improvement and growth of Equestrian Sport in South Africa. SDRC is desperately looking to fill the following positions! Please contact Di Arnold if you are keen or know of anyone!! PLEASE NOTE that SASA reserves the right to conduct spot checks on any Club or Provincial Council to check that the correct process, for all matters relating to the 2018 AGM, have been correctly followed. E.g. meetings of some sort were held at Club and Provincial level where necessary. Proof of such meetings may have to be supplied. This is essential to comply with all legal and auditing requirements. Please feel free to ask for any help in following the correct process. All registered and fully paid up members of the SHOWING Discipline at SDRC please vote for their preferred candidate before 24th June? Please inbox Haidee Marklew (who will represent SDRC at the meeting) or Sarah Arnot (Chairman of SDRC) with your vote. Nominations can be seen in the attached file. We sincerely apologise for the going in the sand arena at our show on Saturday, this was entirely due to staff problems, which we have now addressed. We assure you that this situation will never happen again. Thanks to our new and functioning borehole you will see excellent footing in the sand arena from now on. 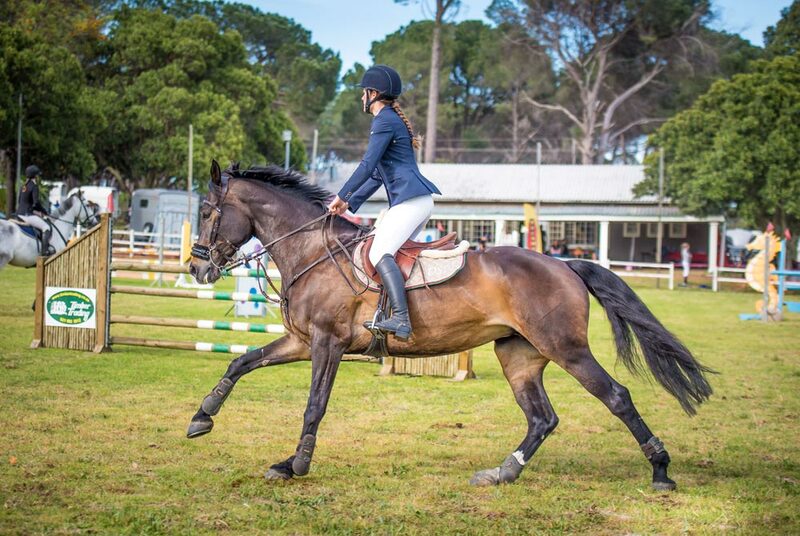 We aim to have the best facilities in the Western Cape and we and look forward to seeing our members and riders back to take advantage of well managed grounds and arenas. Hot off the press! 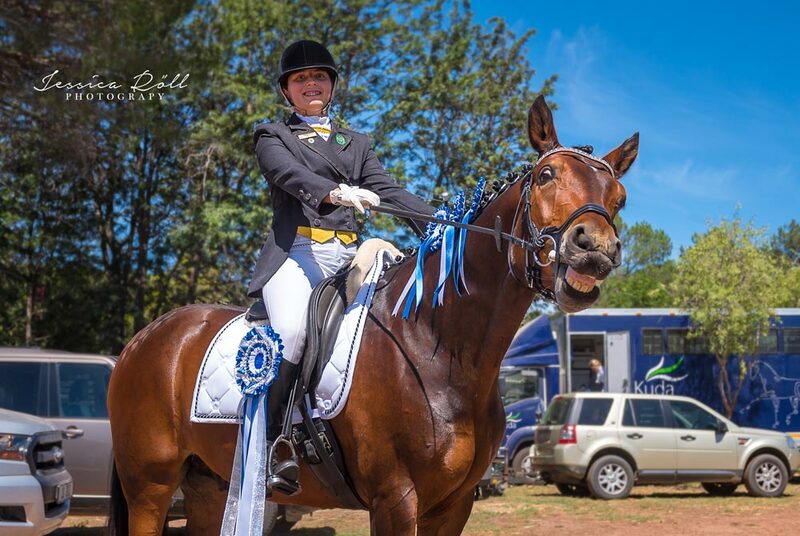 SA Dressage Champs schedule is out! To add to this the International Judge, Peter Holler (FEI 5* - Germany), is now confirmed! for anyone interested in whats been happening at the club and with our club members! Please see letter from Dr Higgerty regarding vaccinations as there seems to be major confusion regarding this. The letter will also be placed on the SAEF web and face book. We have water! After drilling to 130M we have found water at 3000L per hour which is enough for our needs. This is great news and it will transform the club as it means we can look after the arenas and hold shows throughout the summer. We have other great plans for developing the club but first of all we need to pay for the borehole. Thank you so much to those members and friends of the club who have contributed already and to Drillco who drilled deeper than budget at their own expense to ensure that we found water. Speaking to members this weekend I realized some of you haven’t contributed because you were concerned we might not find water. Now we have! And now we have to pay for it! So please, we have over R100,000 to raise and we need it now. If every member contributed we will easily reach our target and you will have the best club in the Cape! Notice is hereby given of our AGM to be held at SDRC Clubhouse on Saturday 23rd June 2018 at 1pm. You are cordially invited to attend. Please advise accordingly for catering purposes. Below is all the information needed for our eventing show this weekend! Hope everyone has a great show! UPDATE ON BOREHOLE AND FUNDRAISING!! Great news! We have water! Thanks to the generosity of our members we have successfully drilled down to water and we have a new functional borehole at the club. It's not a massive amount but its enough for our needs in the dry months and will make all the difference next summer. Huge thank you to DrillCo, who contributed to going as deep as necessary to find water. The next step in the project is to install the pump, the electrics and the tanks. Because we had fewer shows in the early part of the year, we are down on revenue. 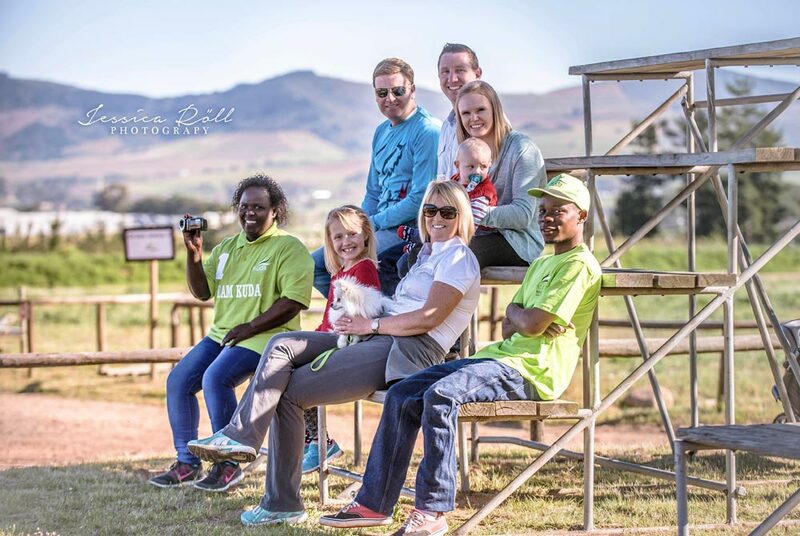 We still need to continue our fundraising efforts, to raise the final R120,000. PLEASE if you were wondering whether you should contribute, now is the time to do so! Most members have given R1000 - R2000 to this effort. Some have given as much as R20,000 so please, give what you can! BERGVLIET SPORTS CLUB, CHILDRENS WAY, BERGVLIET. 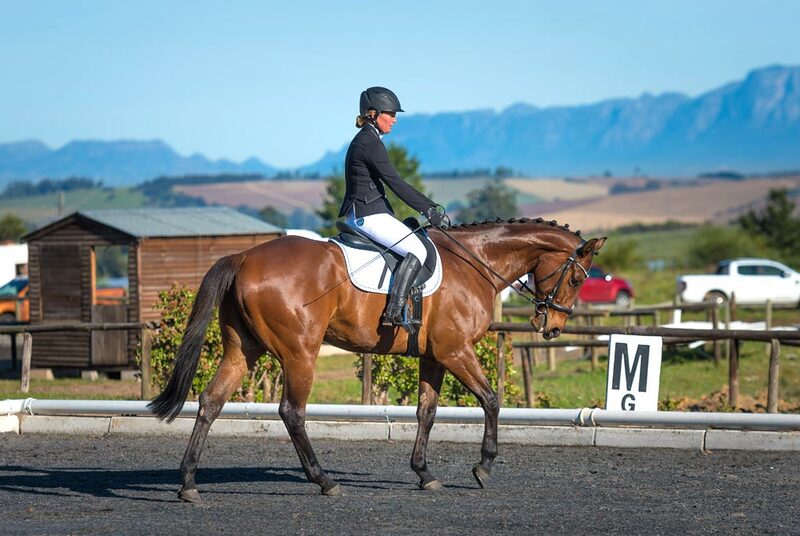 The recent dissolution of the Western Cape Dressage council has rendered the body as non-functional and as a result the organisation is not properly constituted to pass resolutions and take care of day to day matters which concern Dressage in the Western Cape. In order to get the processes back on track, an urgent meeting is being convened at 19h30 on Wednesday the 16th of May at the Bergvliet Sports Club by the club representatives and the athletes representative in order to discuss and agree on what interim measures need to be put in place in order to rectify the present state of affairs and restore the organisation to a functional body. We have invited Pierre Hefer, the Dressage President to be present in order to assist with the process and the related queries. All provincial discipline bodies such as Western Cape Dressage essentially compromise of the Provincial Club Representatives who in turn appoint a number of office bearers to give expression to the athletes’ wishes through the mandates that they carry by way of the individual club representative’s votes. Such resolutions as voted on by the Club Representatives then become the decisions of the provincial body. Your participation in the meeting is vitally important as it is a planning and informational meeting and the discussions will be instrumental in determining our way forward and assist in dealing with your concerns. The meeting is open to all stakeholders in Dressage in the Western Cape province, especially the athletes. All Club representatives are asked to be present. This is due to insufficient entries received due to the long weekend and WC Eventing Champs in George. SDRC SHOWING SHOW 5 MAY 2018!! Come enter and join the fun!! Please see a very important letter from SAEF. Please ensure that you are a paid up member of SAEF and that you send your SAEF number into Equitation. Attached is the agenda for the AGM again. If there are any additional items for the agenda, please can you send to me by the close of business on Wednesday 18th April , Please substantiate them in writing. This is a special dispensation in case people did not know the requirements of the Constitution. We have also attached the presidents and portfolio holders reports for your consideration. Eventing SA will submit their membership list to SAEF at 12pm Friday 6 April 2018. This list will comprise of graded and recreational members. Recreational members are now required to be members of SAEF. Those riders that have not updated their SAEF memberships or are not yet members of SAEF please urgently do so. SAEF have provided a online registration and payment system to help members register quickly. Once SAEF have conducted their membership inspection, those members that have not renewed or joined SAEF will be in bad standing with SAEF and may not enter shows. Entries close 2 April - get those entries in and come join in the fun!! 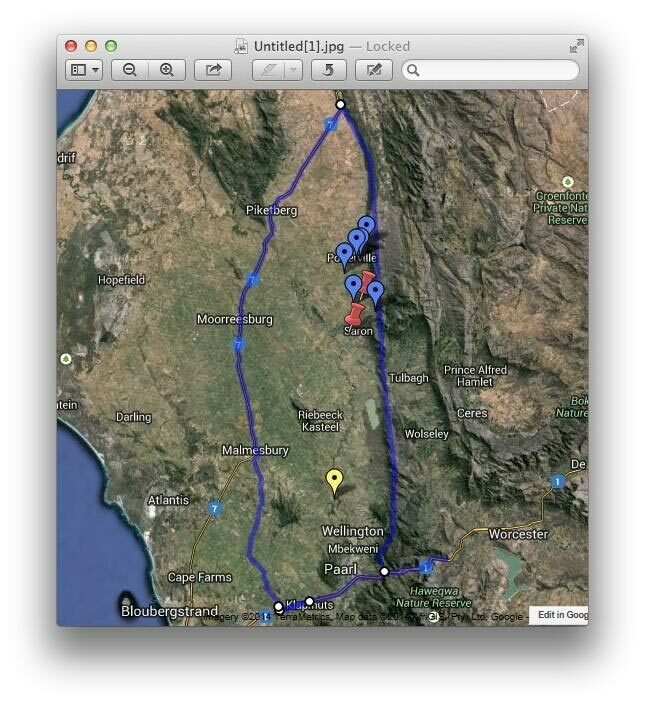 Fundraising project at over R80,000! That's a third of our target already! Please help us make our club the BEST IN THE WESTERN CAPE! Please keep the EFTs coming in. Members and non-members have been incredibly generous in support our borehole effort - please let's keep going. Donations have ranged from R750 to R20,000. Please try and help us with something in that range. Special advertising opportunities available, please contact Di Arnold for more details. Thank you to everyone who has already donated!! Please see the attached EOI for the 2018 Inter Africa Cup if there are any of your Jumping Members interested. Schedule and EOI can be found on the SASJ Website under General SASJ News. Please keep the EFTs coming in. Members and non-members have been incredibly generous in support our borehole effort - please let's keep going. Donations have ranged from R750 to R20,000. Please try and help us with something in that range. Thank you to everyone who has already donated! Wow! Thanks to the generosity of our members we have already raised more than R50,000! This will allow us to go ahead and start the work as we have some funds available that we can use to get going now that this is in. This makes it even MORE important to raise the rest of the funds. Please, see our letter below for details and contribute to making your club the best in the Cape. Members are donating from R1000 to R20,000 and even some non-members have been incredibly generous because they love our club too and want it to be the best possible. A special thank you to them, you know who you are. SDRC has launched a major fundraising initiative for improvements to the club, including upgrading the clubhouse and a new borehole and irrigation system. Our aim is to create a world class facility that is the premier venue in the Western Cape. Unfortunately this costs a lot of money, so we are appealing to members as well as to non-members who love the club to donate as generously as you can to this effort. The attached letter has gone to all our members, many of whom have already been incredibly generous in responding swiftly to our appeal. Many thanks to Anna Poll, Henk Scholtz, Gordon Hindmarch, Debbie Wallin, Phil Cunningham and Mike Doo who have already sent in contributions. Please find attached preliminary notice for the Cape Winelands District Equestrian Federation's AGM to be held on 23 MAY 2018. Attached is also the Nomination Form for Committee Members. Nominations must reach the office, no later than MONDAY 23 APRIL 2018. Each nomination must be properly formulated and seconded. Please support us in this regard as we are in desperate need of additional committee members! Please add a splash of Valentine to you and our horse! Good luck for the show! Arena eventing that was scheduled for Sunday 25th February has been cancelled due to the water crisis. We are looking for a new date and will advise as soon as we have secured one. We apologise for this but want to run a top event in top conditions! Please take note these could be subject to change! SDRC END OF YEAR DRINKS!! IMPORTANT REMINDER !! IMPORTANT REMINDER !! Cape Winelands Equestrian District AGM to be held 17 October @ 6PM @ Mistico Equestrian Centre,Paarl. Herewith calendar with upcoming events up until March 2018!! Attached is also the Nomination Form for Committee Members. Nominations must reach the office, no later than Wednesday 6 October 2017. Each nomination must be properly formulated and seconded. Please support us in this regard as we are in desperate need of additional committee members! Items for discussion must be placed on the Agenda. These items must reach the office no later than 6 October 2017. Please support your District Federation! The show that was on 14th October then moved to 7th October is back on the 14th October! Please see the following communications from DressageSA IT department...entries for the show on 9 September will be extended to Wednesday 30 August! Regarding the recent interruption of service related to the DSA On Line System failure, I am sending you this mail to further explain our position and provide some clarity. Firstly, it must be noted that our IT strategy requires that we provide the best possible system in line with the funds available and budgeted for, at any point of time. Essentially membership fees and show entry fees in part, contribute to this budget and we understand that there is a need to keep these fees as low as possible. In terms of the IT strategy, this also determines the extent to which we can deploy and pay for infrastructure and pay for service providers to maintain the infrastructure which brings about some limitations. The cost of high availability vs fully redundant systems is exponential and we cannot possibly afford the latter and so we take a best effort approach. DSA presently strive for 98% system availability which is calculated on a 365 day basis and allows for approximate downtime of 7.3 Days or 175 hours for unplanned emergencies, system patches, upgrades, maintenance and disaster recovery testing per year. To reduce this availability target to 99%, we would require additional infrastructure (including a replicated environment involving a live stand by failover server) as well as service providers with the correct skills and 24 hours and 7 days a week SLA’s which could cost at least five times the present budgeted amount. The most basic precaution against any disaster is a data backup which we perform on a daily basis and we also keep several versions separate to the live system. The data backup and restore function is however only one part of a disaster recovery. Should there be a system failure, the first issue is to get information related to the cause and extent of the failure as they can vary considerably from hardware failure, connectivity interruption, firewall issues, database and software corruption and several other issues as well as scenarios involving combinations of these failures. If there is for instance a hardware or a connectivity failure, then the disaster recovery requires that a new infrastructure be created and configured and brought on-line and only when this is done and tested, can the data be restored. The time taken for the evaluation of the problem as well as the planning an execution of an effective disaster recovery strategy is typically several days. At times, it pays to wait for a system failure to be restored rather than to start a recovery process as explained as it could be faster and much cheaper. Outsourcing several IT functions is the norm in our type of organisation as the cost of employing full time specialists is not warranted. Unfortunately the skills required to maintain an infrastructure vs maintain software vs develop software vs manage disaster recovery are all very different and again, costs prohibit all these different specialists to be available on 24/7 SLA’s. Further with outsourced service providers in the IT industry, guaranteed response times are directly proportional to the charge out rate and so if you require a 2 hour max response time vs a same day or next business day response time, the rates can vary as much as four times and be subject to certain minimum monthly charges. Essentially, we are not able to provide a considerably better solution in terms of High Availability nor better Disaster Recovery without incurring huge additional costs. We have however identified some areas where we can improve and will be concentrating on these once our recovery is completed. These measures include some changes to service providers as well as re-evaluation of our hosting environments as well as re-evaluation of our disaster recovery strategy in order to improve the turn-around time when we have complicated recovery scenarios as we have just experienced. I apologise for the system downtime and the inconvenience that it has caused and thank you for your patience while we are in the recovery process. Also, a huge thanks to Judith Harrison and Sue Horne who have stepped up and not only assisted with the disaster recovery process which I assure you will take very many hours of their time which we had not planned for, but also and at the same time, fielding so many of your phone calls and emails which were not always that friendly and reflected your frustrations. Unfortunately, as luck would have it, we have also had recent data connectivity issues at the office, courtesy of Telkom as well as a power outage in Kyalami today. The rest of our week had better bring about some nice surprises. We look forward to an improved IT system going forward. COMPETITORS PLEASE NOTE: The schedule for the show on the 9th September Dressage - Tests have changed. Please make sure you have all checked that you have the correct tests for your classes!! We will have an Open day on the Monday after the Eventing show! Please contact Di Arnold to book a slot!! SDRC EVENTING 19-20 AUGUST 2017 - with special thanks to TILETORIA!! Please see the following information with regards to this weekend's eventing! it will be OPEN TO ALL BREEDS!! 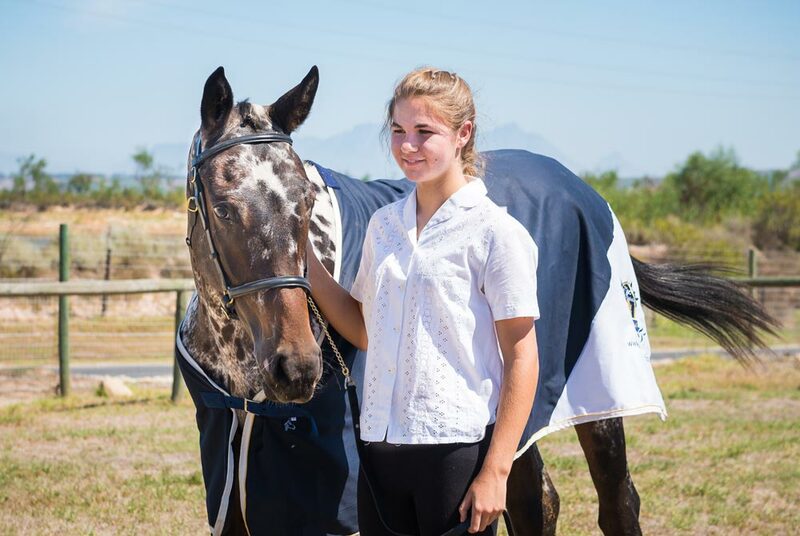 This is a platform for breeders, owners and riders of Young sport horses in the Western Cape. We are glad to announce that Kim Bray has been selected as SDRC's new rider rep.
Any issues, queries or suggestions can be raised for her attention! Due to SDRC running an eventing show on 19 and 20 August, the dressage show scheduled for that date has been moved to the 9th September. The schedule has been uploaded!! SDRC IS BACK IN THE EVENTING GAME AND WILL BE HOLDING AN EVENTING SHOW 19-20 AUGUST! SDRC'S SHOW SHIRTS HAVE BEEN APPROVED! A HUGE CONGRATULATIONS TO THE FOLLOWING TEAMS AT THE WC INTERCLUB TEAM EVENT!! Looking for anyone will to help on the 19th of June to help fill bins / skips at SDRC!! Any extra grooms / gardeners welcome or anyone wanting to get some exercise in for the day or even just an hour!! Calling all members wishing to be part of a team for the interclub event!! Please use availability form and be part of the fun!! Huge prizes are up for grabs! We are forming a new working committee at SDRC and invite you to join our team! Teresa Forrester has stepped down as Chairman of the club and Sarah Arnot and Henk Scholtz have been nominated to take over the reins as Chairman and Vice Chairman. Some committee members are staying on and we have vacancies for others to either join as a committee member or co-opted. We are looking for members to be on our committee that have value to add to the club. Herewith nomination form that must be completed and returned to me if you would like to join us. We will hold a meeting in the SDRC Clubhouse on MONDAY 5 JUNE 2017 at 6pm to form the new committee, we would love you to join our team! Part of this meeting will be the election of the new committee. Please find the schedule for this Interclub show. Time to start getting your Club Teams together for this very exciting competition and a great opportunity for riders to learn to perform under team dynamics. WCSJ Club members are working hard and the list of prizes is growing!! Please use availability form or you to send to your primary club so you can let them know that you would like to be included in this competition. This year we are offering 70cm - 1m teams and clubs may present more than 1 team in a grade. 80cm - 1m classes are graded and therefore you will receive your QR and ranking points for individual performances in the competition. Notice is hereby give of our AGM to be held at SDRC Clubhouse on Monday 29 May 2017 at 6.30pm. The SAEF would like to inform our members that we have terminated our contract with DesignLinks (Elixir Online System) with immediate effect. The decision was not an easy one to make and was done with our riders’ and administrators’ best interest in mind. The original brief for our online system was to have a system which is practical, simple and easy to use for all involved. Although the Elixir system has undergone various upgrades, it still does not address the required needs of our members and is not user friendly as was agreed. We are in the process of implementing a new data base soon. The SAEF would like to apologise for any inconvenience you may have experienced and will keep you up to date on a regular basis regarding new developments. Arena Eventing that was to be held 13/14 May has been postponed until 29/30 July due to lack of rain causing the ground to be too hard for this event. I have tried to accommodate as many as I can, so please be ready to ride at your time (or earlier if there are scratchings) as we have many horses to get through. A reminder that passports to be handed into the show office BEFORE your class, NO PASSPORT NO RIDE! This is to help you ensure all is correct for the DSA Challenge Show. EQUIPAGE WC SHOWING CHAMPS 2016!! The WC Dressage Committee is holding it’s AGM & SGM on the 11 February @ SDRC at 12H30 in the club house. In order for us to have a quorum we need you to attend the meeting as the dressage representatives of your clubs: the SAEF guidelines stipulate that the Clubs have the voting rights at the SGM and the SAEF representative will run the voting process. I have forwarded the Nomination forms to you but have included them here again as we desperately need new members to join the committee to ensure that Dressage continues to grow and be run effectively in the WC. To give you an idea of how things stand at present, 3 members are resigning from the committee: Anna Buchanan, President, Chanda Bailey, Judges & Officials, and myself as the Secretary. Janeese Silen, who held the Show Holding Bodies, CDE & Vice President Portfolios, resigned in July 2016. This leaves us with just 3 members: Tjarla Norton, Acting Vice President & Development & Transformation; Melina Frey, Technical & Charles Manning, Financial & Treasurer. Please will you actively canvas your members to join the committee and fill in and return the Nomination forms to me by no later than the 31 January 2017. Please will you advise by return mail whether you will be attending the AGM & SGM on the 11th February. Membership forms have been uploaded!! Please see the attached final programme for the weekend GOOD LUCK to all our riders!! Sunrise, Boeckmann, Stubben, Cruise International, Ron Waldeck, Cheval Liberte, Equus Supplies, Oliver Lazarus, Morning Star Feeds, Rushford Rosettes, Vuurberg wines, Forgetmenot Flowers, Equiworx, Roro's Barn, MRent, Equibox, Equineonline, Dominique Thoenes, the Hestermanns. Special thanks to Sheena Bisson Olsen and Marina Prinsloo for all the work co-ordinating things behind the scene and all the officials and helpers who give up their time to help at our shows, we cannot do this alone! We have changed the 2 phase to riders only going clear in 1st phase going through to 2nd phase as we have huge entries and need to finish before dark!! This is the Final Preliminary SGM Notice for 2016. Please fill out the nomination form at the end of the notice and return it to me no later than the 21st June 2016. Please ensure that this also goes out to your clubs and members. In view of the Event Liability policy being reviewed it has become important that the attached form is distributed to all your show holding bodies and clubs who host events. This form has be completed and returned to the office of the SAEF within 30 days of the event should an incident have occurred during the event that required medical attention as per the information required on the form. If this form is not completed and returned to the office we do stand a risk of having no claim regarding the incident. We will also be sending a report to be completed of all incidents that took place over the last 12 months at all events held in all disciplines. Your cooperation and support in this matter is highly appreciated. Notice of a Special General Meeting of the Western Cape Showing is given and will be held on Monday 4th of JULY , at 19h00, Venue TBC. The purpose of the meeting is to nominate and vote for CERTAIN OPEN office bearing officials within the SASA NATIONAL COMMITTEE as well as put suggestions forward by the CLUB REPS for NATIONAL and Provincial SAEF Presidents. A agenda will be send out at a later stage. A successful meeting was held at SASCOC house on Saturday and was well directed by Mubarak Mohammed of SASCOC. 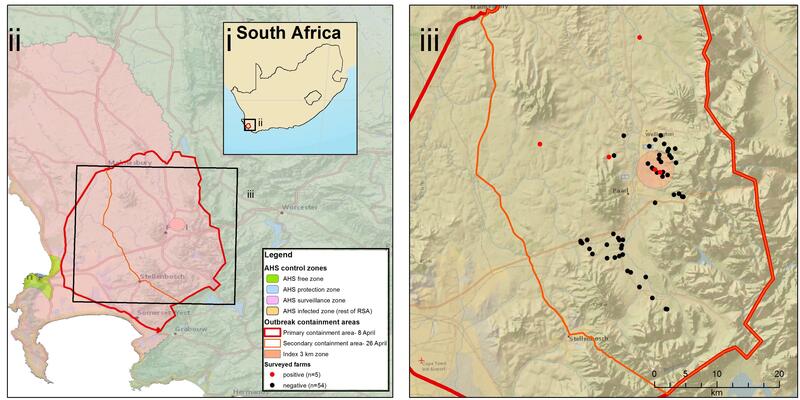 I am sure SAEF will send out a detailed report, so I will just detail the areas that were decided on that affect SASJ. The purported suspensions of the 16 individual that took Marlene Du Plessis to court have been set aside. SASCOC confirmed the matter had nothing to do with SAEF. It was a matter between Individuals and a company. Any complaints of any nature relating to SASJ should be sent to SASJ by a SASJ member in writing. SASJ manages Show-Jumping, not external parties. We have a direct line of reporting to the FEI with a sidebar communication to SAEF. SASCOC will deal with any DA directly that does not perform as per sport charter, rather than tackling SAEF as a whole. What this basically means is that we have been given the responsibility to manage Showjumping as a sport in SA, from a club, provincial and national level and therefore directly responsible for reaching targets set by SASCOC, such as transformation targets, which are set according to the transformation scorecards. We can not pay lip service to transformation, it needs to be a core feature of our business plan going forward. I will be looking at sitting with Lyna May of SANESA soon to discuss bringing an end to the disagreements. Very clear guidelines were laid out in the meeting on Saturday as to the parameters that each organization operates within and these need to be agreed on and implemented. Likewise I will gladly meet any individuals within SASJ who have vocalized various positions during the recent past so that each person may be heard. Where there are genuine issues, these need to be addressed and we move forward. Once this process has been completed, it will no longer be acceptable for anyone to seek to destabilize SASJ - complaints will be made via the correct channels so that they can be addressed appropriately. Once these meetings (SANESA and the one on ones) have taken place, Council will be informed for decisions to be made in finalization of these issues. Together with Exco, we will be developing the business plan for SASJ going forward, including our transformation plan, which will be discussed by council and our stakeholders, before being implemented. There have been a number of ugly events in the recent past - these are now behind us and structurally, we have the green light to prove that SASJ is a well run organization that gives the opportunity to every athlete to perform at their best. I look forward to everyone's contribution to turning the opportunity that we have been given into a huge success. Please see attached a letter received from the CEO OF SASCOC Mr Tubby Reddy for your urgent attention and action. As per Mr Mubarak Mahomed ALL EQUESTRIANS are welcome to attend this meeting so please distribute the letter from the SASCOC CEO to all members informing them that they are welcome to attend this meeting. The SGM meeting called by Mr Andre Truter for Sunday to be postponed to a date to be announced. Please confirm your attendance by reply e mail by close of business on Wednesday 18 May 2016. Notice is hereby given for our AGM to be held at SDRC Clubhouse, cnr Aerodrome and R44, Stellenbosch on Monday 30 May 2016 at 7pm. The riding order for Saturday's exciting Arena Eventing has been published. Open to all horses outside the current AHS containment area!! Please find herewith updated schedule for our Warm Up to the DSA Challenge which will now take place on SATURDAY 18TH JUNE with entries closing Thursday 9th June. The original changed date to Wednesday 27th April will now fall away as we are still within the containment zone for AHS and no confirmation of when these boundaries will move so to be fair to everyone (in and out of the containment area) it has been agreed that our now will be help on Saturday 18th June instead. The show at SDRC that was scheduled in the OMNIBUS for 18 June will be replaced by this show. SDRC will not be able to run their Dressage Warm up show at SDRC this Saturday due to the current AHS outbreak and our venue being within the restricted containment area. Move our show of Saturday 16 April 2016 to Wednesday 27th April 2016 (public holiday) PROVIDED the borders of the containment area are reduced by this date. We are hoping that the containment area will be reduced to 30 km from the site. Move the closing date for entries to this show to Tuesday 19th April – to enable riders to enter the show if they wish. We will keep everyone updated regularly to updates that occur. WEAR SOMETHING RED FOR VALENTINES DAY!!! First show of the Year 2016!!!! Entries close FRIDAY 9th OCTOBER 2015 – NO LATE ENTRIES WILL BE ACCEPTED! Thank you all very much for the wonderful support and we have OVER 200 ENTRIES for the show! in the following order PLEASE DON'T BE LATE! Riders who have booked stalls may park in front of their stalls but NOT on the grass side of the main grass arena, this us for cars only. LIST OF STABLES WILL BE ON THE NOTICE BOARD - all the stables have been booked, please do NOT go into a stable that you have not been allocated. It is not fair to those who gave paid. Your co-operation in this regard is appreciated. 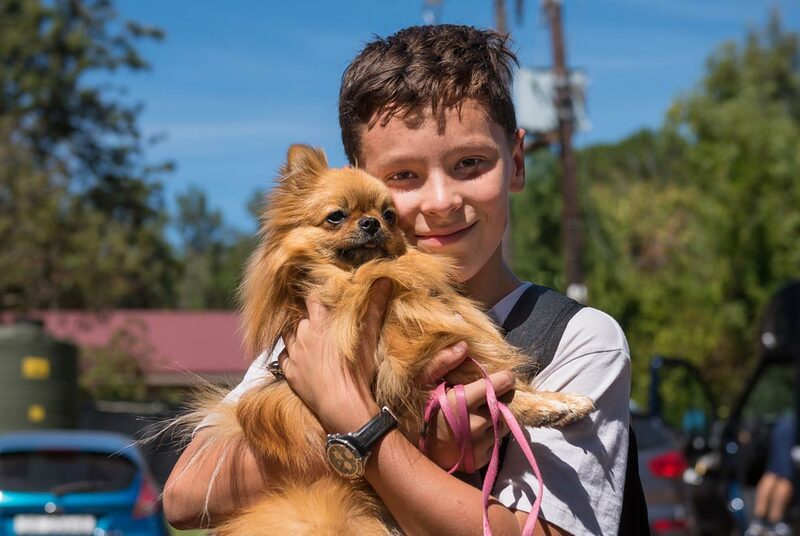 Please keep your dogs under control. ENJOY THE SHOW, THE WEATHER FORECAST IS GOOD!!! please take note the schedule has been amended! Please see the current updated constitution! It is that time of year when there is annual maintenance on the Theewaterskloof Water pipes which of course affects our water at the club. PLEASE BRING WATER FOR YOUR HORSES as the water should be OFF. URGENT NOTICE!! PLEASE TAKE NOTE!! Please take note of the following!! 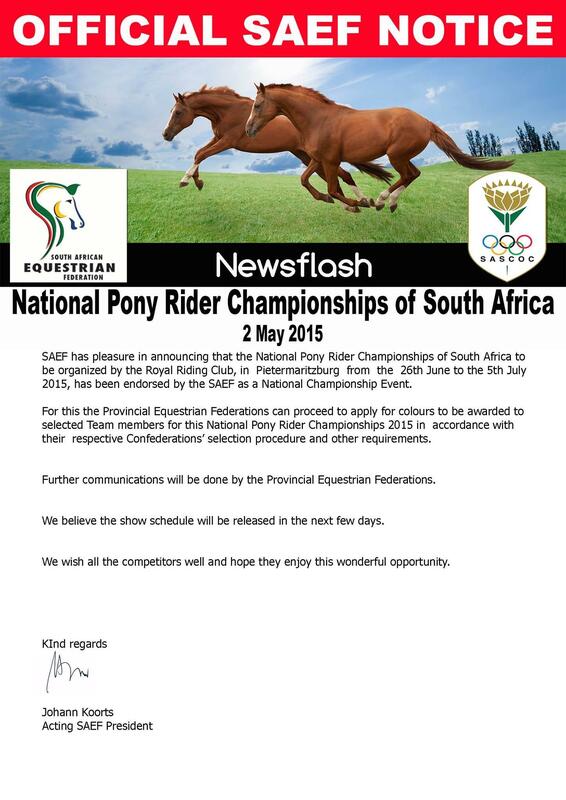 Kindly note that all Pony Rider entries must be stamped by the secretary of each province. Your riding time is the time you enter the arena at A, please check the notice board for any scratchings as the riders will follow on. We would like to thank our WONDERFUL SPONSORS and HELPERS and WORKERS BEHIND THE SCENES that have really come to the party to ensure that this will be the BEST SHOW EVER! Please can you pass this information on to any rider that you know may be competing in the 70cm Juniors and Adults. What fantastic entries we have received for this weekend’s Eventing at SDRC and wonderful SPONSORS as well!! Attached please find our schedule for our Eventing Show at SDRC. We have received some fantastic sponsors for this show and will be running a team event as well with a cash prize of R2400 to the winning team! Entries close on FRIDAY 10th April, so enter now to avoid disappointment!! Please note that some of the FEI Dressage Tests have been updated, please click on the link below to find the updated tests. Please find HERE urgent notification received from Dr Sheelagh Higgerty regarding the movement of horses in and out of the controlled area. This notice must urgently be distributed amongst all your members please. If you are entering the training show jumping show and are not a member – NO NEED TO PAY GROUND LEVY AGAIN! 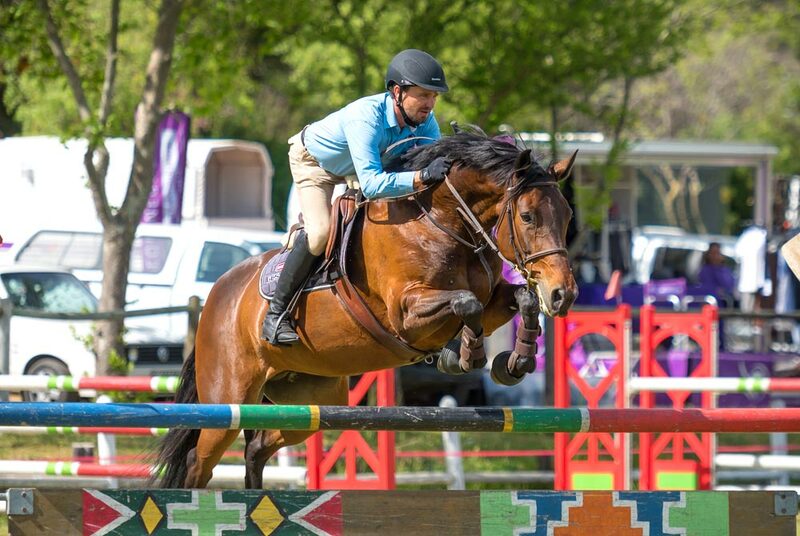 The weekend is almost upon us and we are very excited about our Winelands Eventing Show at SDRC on our NEW Tracks designed by Graham Winn and built by Andy Balula. We have asked the weather to be kind to us so let’s keep our fingers crossed! ALL BOXES ARE TO BE PARKED AT THE BOTTOM FIELD EXCEPT THOSE WHO HAVE BOOKED STABLES. The man at the top gate near the clubhouse will have list of who is stabling and ONLY those boxes will be allowed into that parking area. NO BOXES WILL BE ALLOWED IN FRONT OF THE STALLS, they can be parked in the area adjacent to the stalls near the Clubhouse. Please park responsibly as there are a lot of boxes. Please check the NOTICE BOARD AT THE JUDGES BOARD for updates at the show. 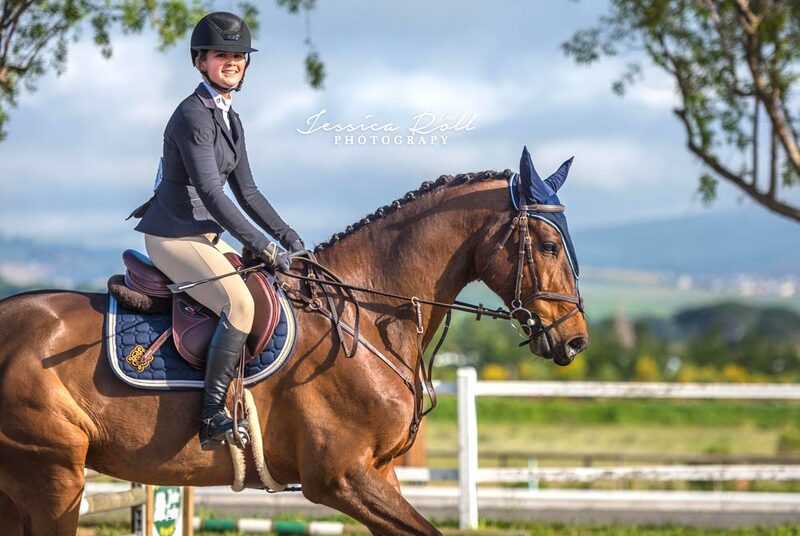 We will NOT be running a graded show on Sunday 8th June 2014 at SDRC but will have a Recreational Training show jumping afteroon from 12pm starting with poles on the ground up to 1m instead. Schedule will be posted by tomorrow, entries close next Thursday 5th June or on the day at double the entry fee. OUR NEW GRASS ARENA WILL BE UP AND RUNNING FOR OUR NEXT GRADED SHOW ON 26th JULY 2014, EXCITING TIMES AHEAD!!!! Lets Start off the new SDRC Eventing with a kick Lets have a Braai and a weekend to remember! @ The Catering on Saturday during the course of the day. IMPORTANT PROPOSAL! - Please Read! Eventing at SDRC 31 May and 1 June - FREE ESA Membership for 70 cms Training Classes and low entry fees! The SDRC Schedule has just been posted on the WP Eventing website www.wpeventing.co.za. If you haven't been eventing for a while, or you think you'd like to try it, why not come and ride over the fabulous new Graham Winn designed tracks at SDRC. Designed to flow beautifully and encourage horses at every level, this is a new era for eventing at SDRC. SDRC have really come to the party with incredibly low entry fees for the 70 cms class, so this is a great opportunity to try eventing, or to come back and remind yourself that it's the most fun you can have on a horse! There is a confirmed case of AHS on a farm in Wellington. Restrictions are now in force in the surrounding areas. Please see the attached notice from the State Vet, and a map of the area. Please strictly follow the guidelines, for the sake of all our horses, but avoid the spread unfounded rumours, or panic! As you are aware, from 1 August 2013 , the NEW SAEF structure comes into existence. SDRC have been accepted as a registered SAEF Club. As an existing member of SDRC you will automatically remain a member of our club under the new structure and the benefits that you enjoy at the club will remain. You will be required to register with SAEF (you and your horse) and once you have your registration number, you will need to send SDRC this number as proof of SAEF membership. You will also need to join the different disciplines that you will be competing in separately. We would like to take this opportunity to thank you for your continued support of the club and look forward to great events in the future.